Todd McLellan won’t be coming to Buffalo (Getty Images). It appears Todd McLellan won't replace Phil Housley as the Buffalo Sabres' coach. TSN's Bob McKenzie reported Friday that McLellan, who was fired as the Edmonton Oilers' coach in November, is no longer under consideration for the Sabres' coaching vacancy and never received a formal offer from the team. That ends a wild week of speculation surrounding McLellan. Calgary-based writer Eric Duhatschek of The Athletic reported Monday McLellan was "closing in on an agreement" with the Sabres and a deal could be announced as soon as Tuesday. Reports surfaced throughout the week that McLellan had competing offers from the Sabres and Los Angeles Kings, including one that he was to be announced as the latter's coach Wednesday. McLellan was in Buffalo this week because his son, Tyson, was competing in the NCAA Frozen Four for the University of Denver, which lost a semifinal game to UMass on Thursday night. Sabres General Manager Jason Botterill told Sportsnet's Elliotte Friedman at Tuesday's NHL Draft Lottery that McLellan was a "person of interest" to the team. 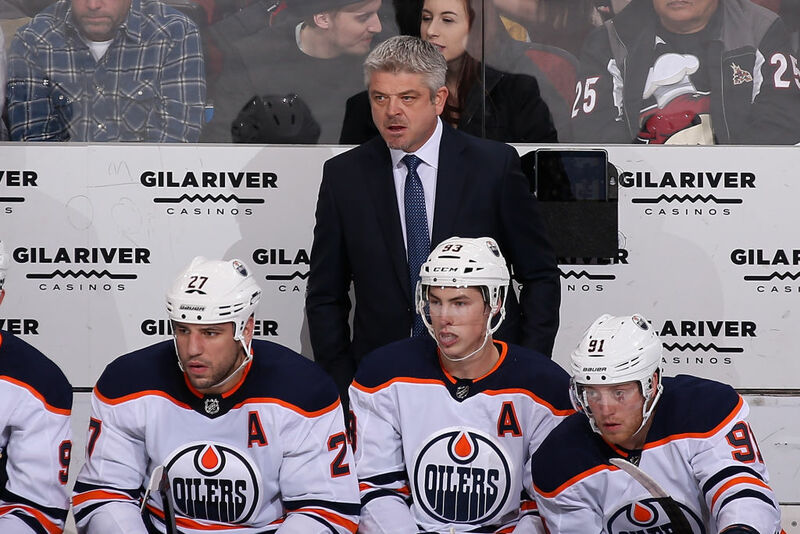 McLellan will likely become the Kings' coach after this latest development, though the Philadelphia Flyers and Anaheim Ducks could also try to speak to him about their vacancies. A source told The Buffalo News that Botterill has identified a pool of candidates, mostly veteran coaches, to replace Housley, who went 58-84-22 in two seasons and the team's historic second-half collapse has their playoff drought at a league-high eight seasons. There are dozens of coaches with NHL experience either serving as assistants around the league or currently searching for jobs, including Alain Vigneault, who did not coach this season after he was fired by the New York Rangers last April. Botterill, who is part of Team Canada's management team for next month's World Championships in Slovakia, will have a close look at Vigneault, who will serve as the country's coach for the tournament. Vigneault, 57, has spent 16 seasons as an NHL coach, most recently a five-year stint with the Rangers. It began with a Stanley Cup final appearance in 2013-14, where they lost to the Los Angeles Kings, and ended when they missed the playoffs last season. He also coached the Vancouver Canucks to the Cup final in 2010-11, where they lost to the Boston Bruins in seven games. He was also the head coach in Montreal in the last 1990s. Pittsburgh assistant Jacques Martin, Tampa Bay assistant Todd Richards, former Arizona coach Dave Tippett, former Ottawa coach Guy Boucher and former Los Angeles coach Darryl Sutter are among those with experience who could be of interest to Botterill. If the Sabres opt to gamble on another young coach, they have an internal candidate in Chris Taylor, who has led Rochester to the Calder Cup playoffs in each of his two seasons with the organization. The 47-year-old is a former teammate of Botterill's but more important, Taylor has hands-on experience working with some of the promising young players who could be asked to carve out a large role with the Sabres next season, including Victor Olofsson and Alexander Nylander. McLellan's candidacy should indicate which qualities the Sabres are searching for, though. McLellan, 51, led the Oilers to the playoffs once during his three-plus tenure there and was fired abruptly after a 9-10-1 start to this season. He also led the San Jose Sharks to the playoffs in six of his seven seasons, including back-to-back Western Conference Final appearances. Although McLellan had a 123-119-24 during his time in Edmonton, he led the Sharks to their first Presidents' Trophy during his first season in 2008-09, and he was the franchise's all-time leader in coaching wins when his tenure ended after the 2014-15 season. McClellan and the Sharks mutually parted ways after the team missed the playoffs by nine points in 2015, and was quickly hired by the Oilers, who would draft Connor McDavid that summer.